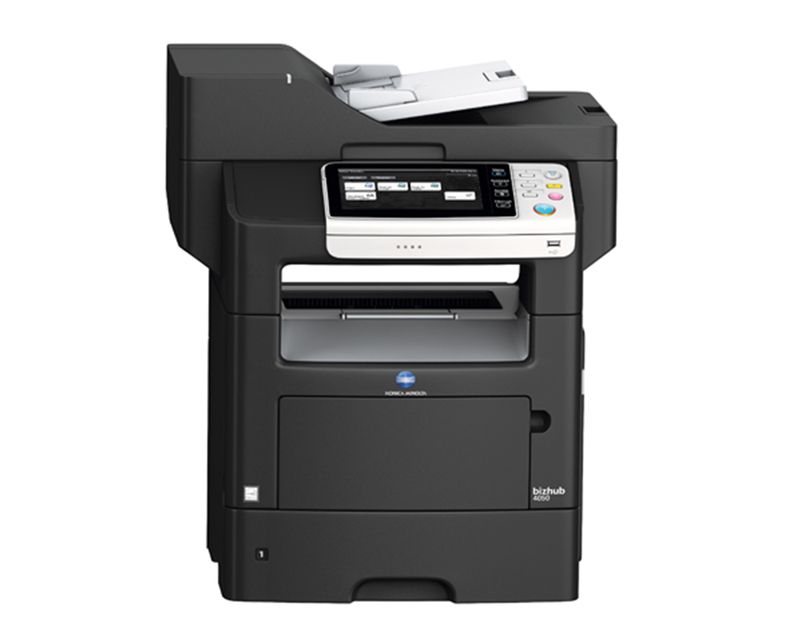 In any networked business or professional environment, the Konica Minolta bizhub 4050 multifunction printer gets the job done better - with fast 42 pages per minute print/copy output in high-resolution black & white, plus colour scanning from a large 7" touchscreen that's as easy to operate as a familiar tablet. Fast scanning in both colour and black & white, with capture functionality right from your touchscreen control panel and reversing auto document feeder. USB Direct Print for printing from USB devices, including direct printing of OOXML Word, Excel and PPT files. Compact size is ideal for small businesses, branch locations and professional applications where space is limited.